2016 GivingTue. - Protect our forests and wildlife habitat! Today is #GivingTuesday, a global day of giving that harnesses the collective power of individuals, communities and organizations to encourage philanthropy and to celebrate generosity worldwide. 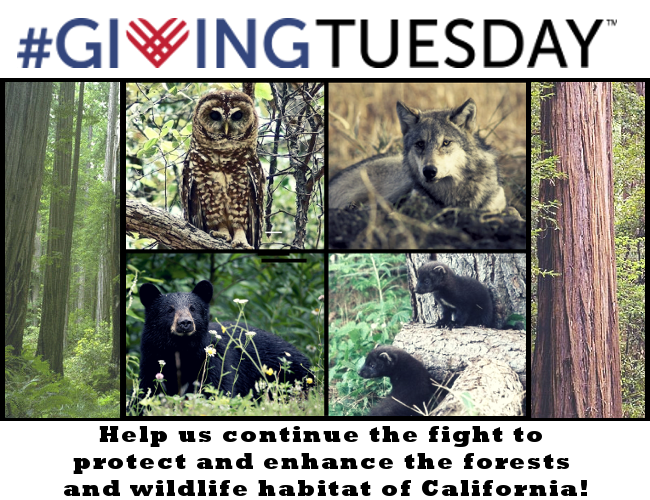 Your contribution today will help us continue to protect California's forests! Front row from left: Hideki, Tanner, Stephanie, Emma. Back row from left: Paul, Christian, Travis, Connor. Not Shown: Andrew, Chris, Julia, Lynne, Matt, Richard, RJ, Sarah. 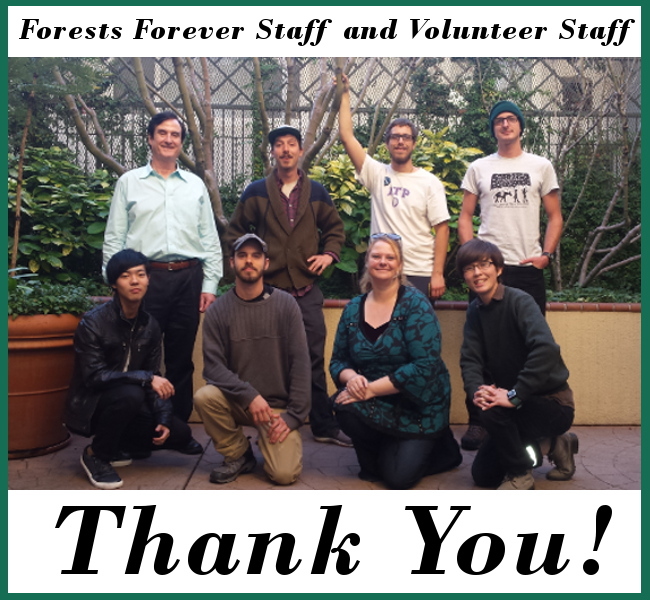 Thank you for defending California's forests with us! Your contribution today will help California's forests thrive! Richmond Hills Initiative campaign - now headed for the ballot in 2017! ©2019 Forests Forever. All Rights Reserved.